Former Disney star Hilary Duff had her own fairytale wedding Saturday, August 14, marrying hockey player Mike Comrie in an intimate sunset ceremony in front of 100 of the couple’s closest family and friends. The wedding was held at a private estate in Santa Barbara. The celebration began with cocktails by the pool, followed by a 20-minute wedding ceremony and a sit down dinner. Hilary was escorted down the aisle decorated with candles and rose petals by her mother. Her older sister, Haylie, served as maid of honor. The bride wore a stunning custom made Vera Wang wedding dress and her hair was pulled up in a uber chic bun. Helped by the fabulous and eclectic wedding planner Mindy Weiss, every detail of her ceremony and reception was planned to fairytale perfection! 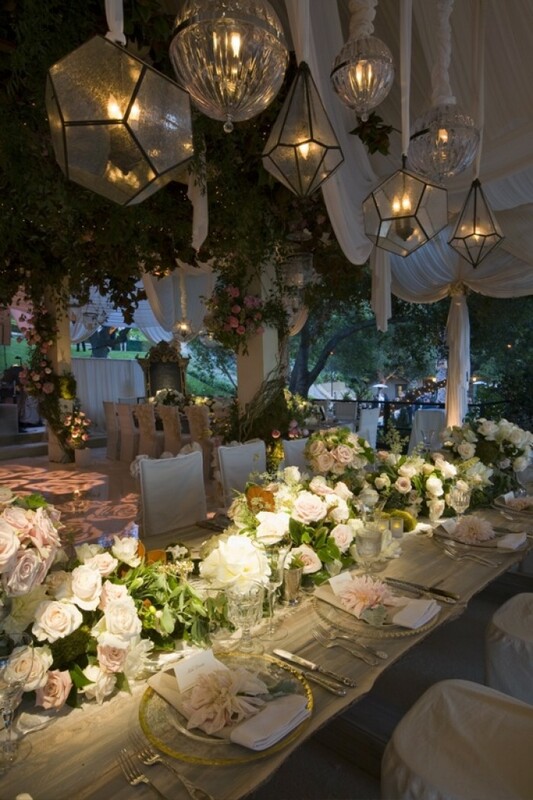 The wedding décor was soft, organic and rustic with neutral hues and tones used from the flowers to linen. Her cake had a vintage home made feel, and she added a personal touch to the napkins by having her and Mike’s initials embroidered on them. To personalise their favours, guests received a Padron Anniversario cigar and a box of Hilary’s favorite chocolates, topped with sea salt, from John Kelly. Inspired by Hilary’s wedding day? We shopped around London town to find the best suppliers to help you put together a fairytale experience personalied to you. 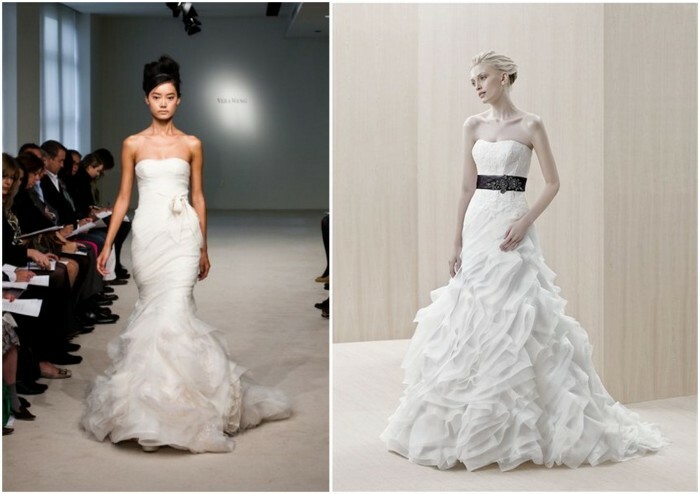 Vera Wang recently introduced a similar Hilary styled gown in her fall 2011 collection called “Gemma”. 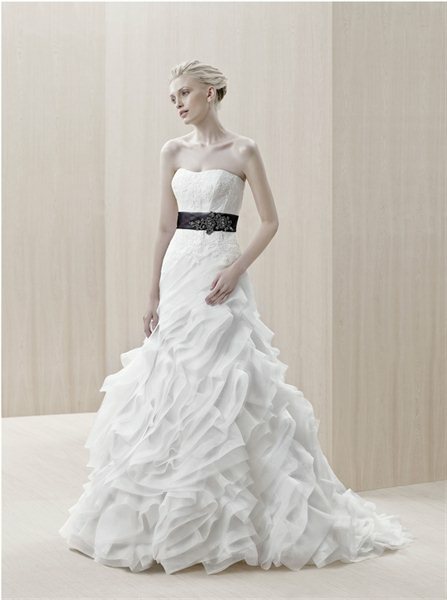 If your budget is not speaking Vera Wang price tags why not try something similar by Enzonai in ivory called “Evadale”. 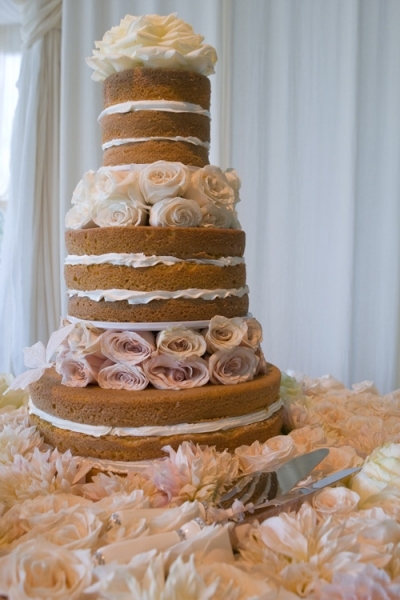 For a non traditional unfrosted cake as Hilary, (known as a naked cake) why not try to make your own! This will make your cake unique as you can add your own personal touch to it. Its DIY friendly and it does not have to look perfect. Great for a vintage shabby chic look. If you’re not feeling so DIY friendly, head down to Linda Fripp where they’ll also bake you fun flavours such as strawberry and champagne for a super sweet treat. 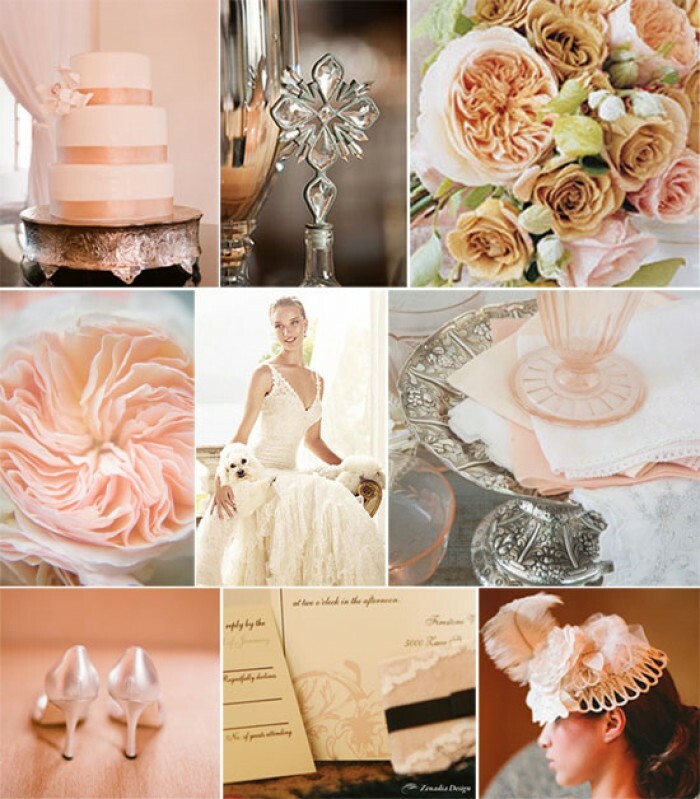 To recreate Hilary’s wedding décor, why not incorporate her theme colors, cream, champagne, soft pink and peach. It makes a lovely colour combination that is fresh, modern and classic. Perfect for a summer or springtime wedding. 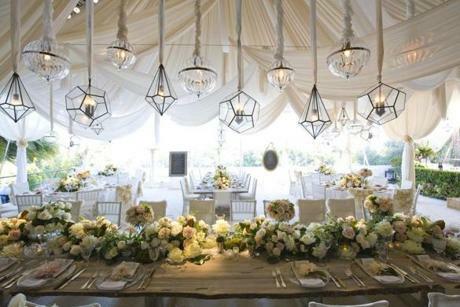 Head to Raj Tent for an open Maharaja style marquee finished with an eccletic mix of chandelier lighting. The look here is very deconstructed and not “stuffy” so mix and match your charger plates by shopping through a vintage store or flea market. The look simply has to coordinate and not necessarily be “matchy” so stick to the same palette and hues of soft blush pinks, creams and peaches. Instead of having all your napkins individually embroidered with your monogram, a simple but effective look is to personalise another feature with your monogram like the menu which should work out more cost effective for each guest. Be inspired but totally personalise. Happy planning! 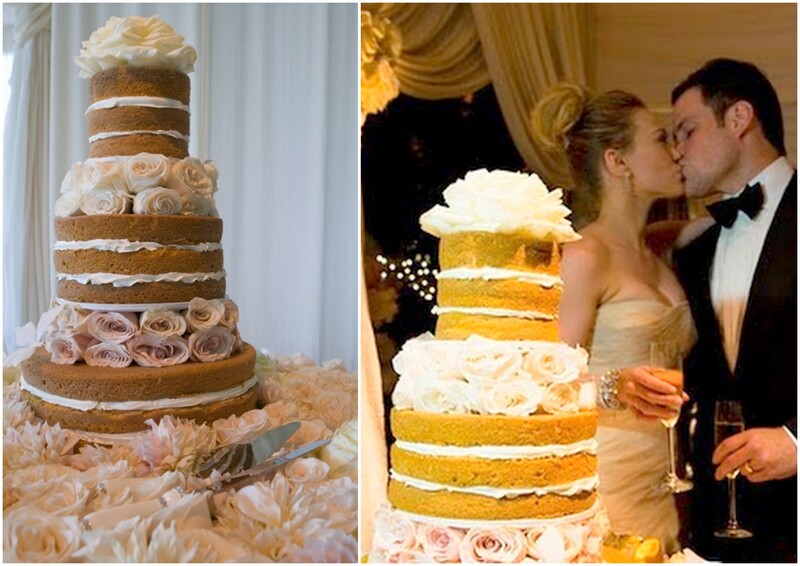 Previous: Is It A Wedding Dress or Cake?